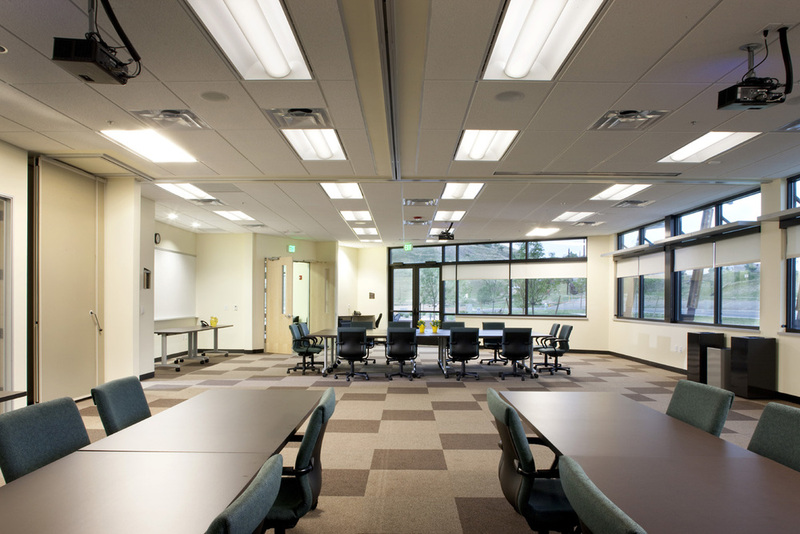 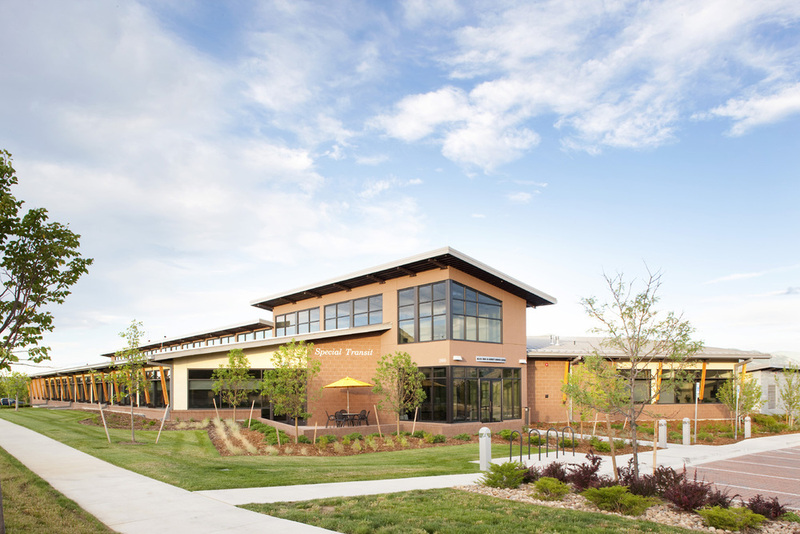 This new 37,323 square foot building contains administration and maintenance facilities for the non-profit agency that provides transportation services to seniors and people with disabilities residing in Boulder County. 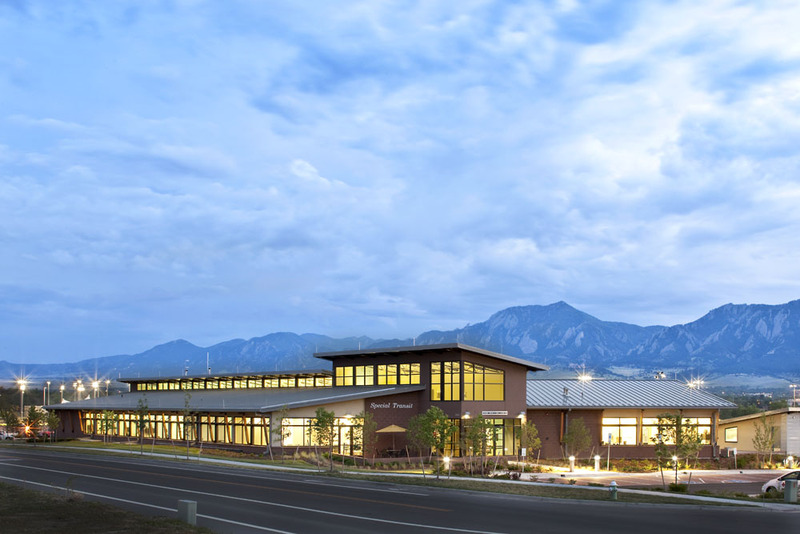 The new building, designed by OZ Architecture, more than doubles the size of Special Transit’s previous facilities. 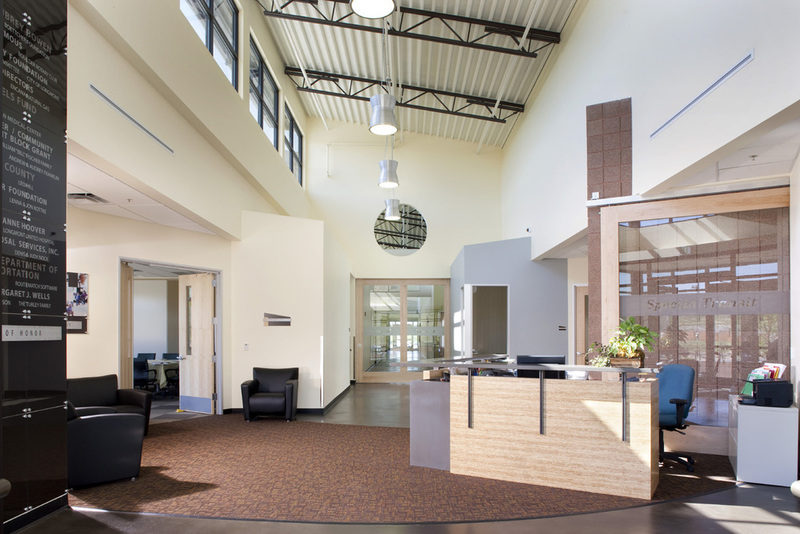 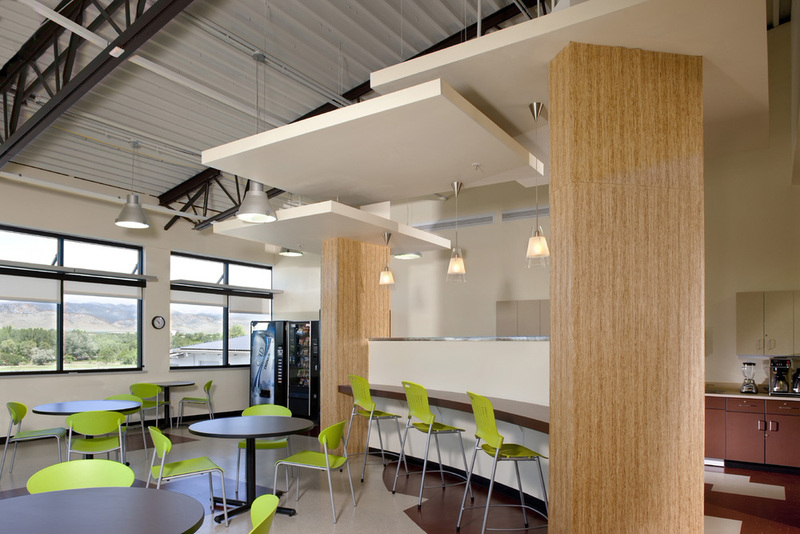 The building encompasses two terraces, the higher of which contains administration services, classroom and break areas, a scheduling and dispatch center, and staff offices. 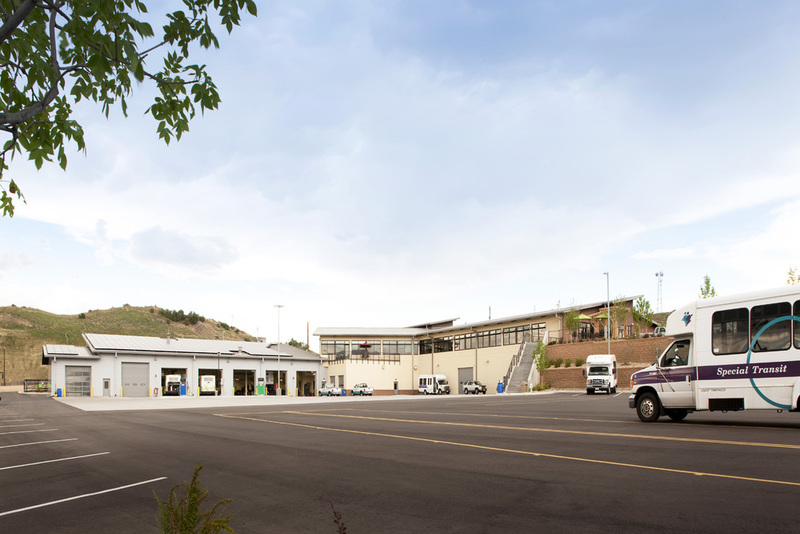 The lower terrace houses vehicle maintenance and parking facilities for up to 100 buses. 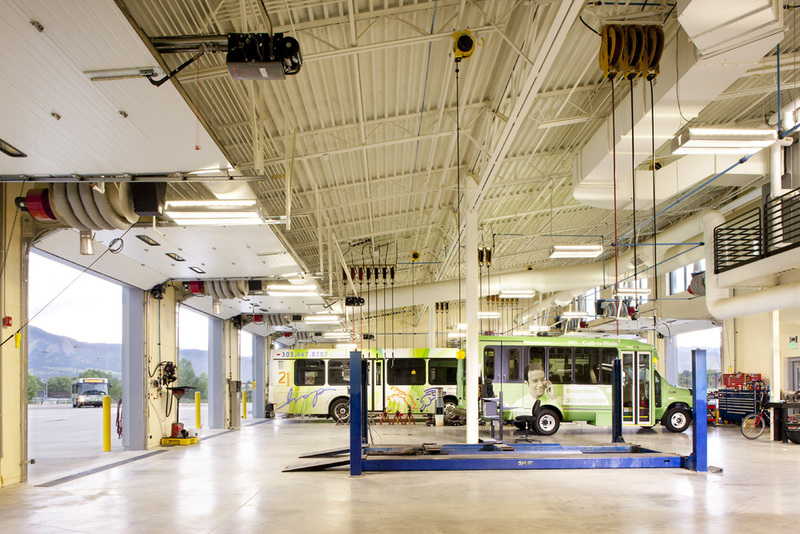 This area also includes six bays with vehicle lifts and fluid-dispensing systems for bus maintenance, a drive-through wash bay and a fueling station.